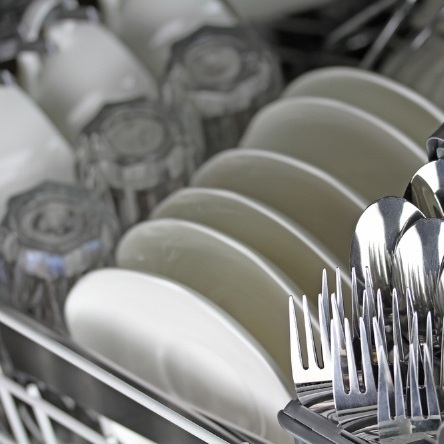 Remove the bottom rack from the dishwasher and give it a good wipe down with some hot, sudsy water and the dishrag. Then, use the rag to clean out the obvious bits of food and gunk from the bottom of the dishwasher, itself. 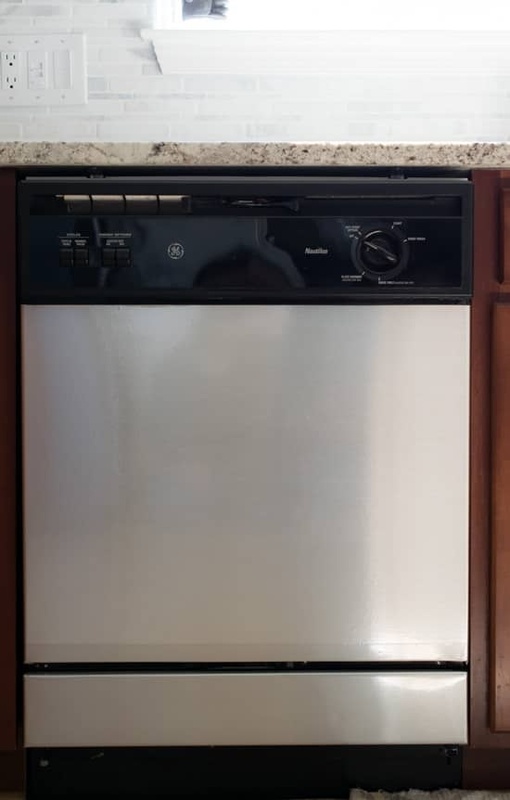 If your dishwasher has a filter, you may periodically (not every cleaning) wish to remove that and clean it according to the user’s manual. If you don’t have the maual, Google the make and model and find one online. My manual says if your dishes feel gritty after a wash, or if you can see the filter is dirty, it’s time to clean it. Don’t forget to return it and secure it again before proceeding. Return the bottom rack to its place, and then pour a cup or two of the vinegar into a dishwasher safe cup or bowl and place it upright in the top rack. Run the dishwasher on the hottest setting, but forgo the drying cycle. Last, use the dishrag and hot, soapy water to clean the outside of the door. Don’t forget the sides! Afterwards, wipe it down with a soft towel. If the door is in sad shape, you may want to decorate it with faux metal, like this woman.